HUGE PRICE IMPROVEMENT- Priced for a quick sale! 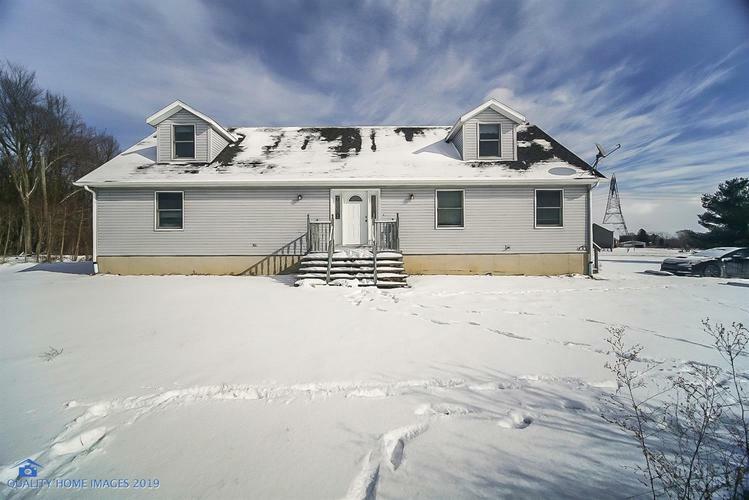 Check out this Cape Cod on home on 6.82 acres! The home has 4 bedrooms, 2 baths and one more bathroom plumbed in for the basement. Two main floor bedrooms, main floor laundry and a large family room all on one level. The home has a unfinished poured walled basement with 9 foot ceilings for added square footage for future growth. There is also a 30 x 40 pole barn for all those great toys that need to be kept inside. Schedule your showing today! Directions:Take Highway 20 to County Line Road. Turn left. Turn left onto Darden Road. The home is on your right. The driveway is directly across from the 4 mailboxes. There is a Keller Williams sign also located there.